Every time we travel to a new place we are in search of the sunset or the beautiful evening. There are many places around the world that witnesses the most beautiful sunset that you will experience around the world. There is something magical about the sunset. When you see it you feel so relaxed and calm. That indescribable beauty of sun setting in the messy clouds turning the sky into a colorful portrayal with vivid colors. It seems like a artistry! 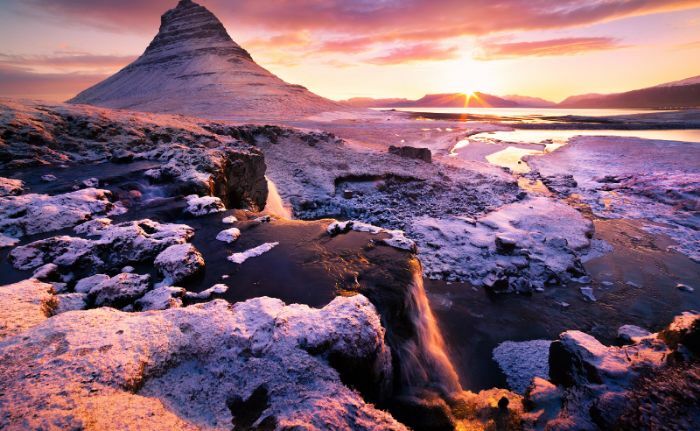 Here is the list of some places having a mesmerizing sunset around the world that will surely win your heart after you see this. 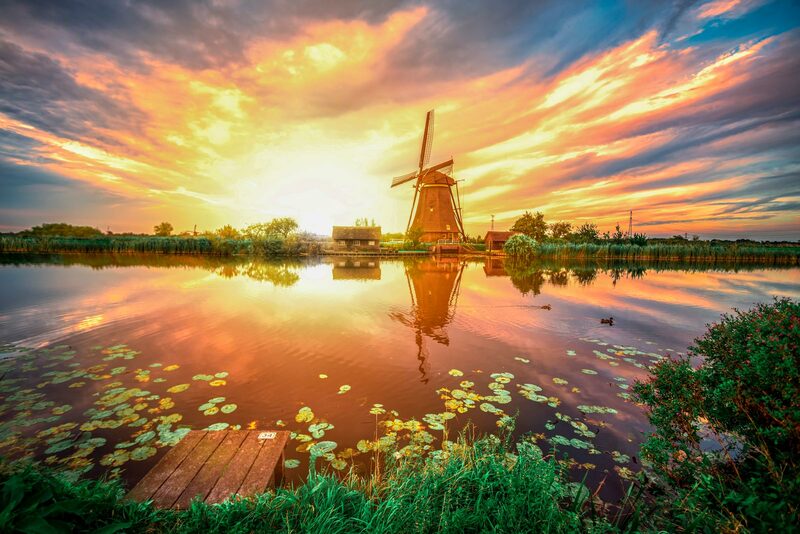 Kinderdijk is a lovely place in the Netherlands which has extraordinary sunset views, a village in the South Holland of Netherland province is especially known for its 18th-century windmills. Best Time To Visit: Peak Season is from April to October and the timings are from 9:00 am to 5:30 pm. whereas in the off-season, it’s from November to March, from 11:00 am to 4:00 pm. 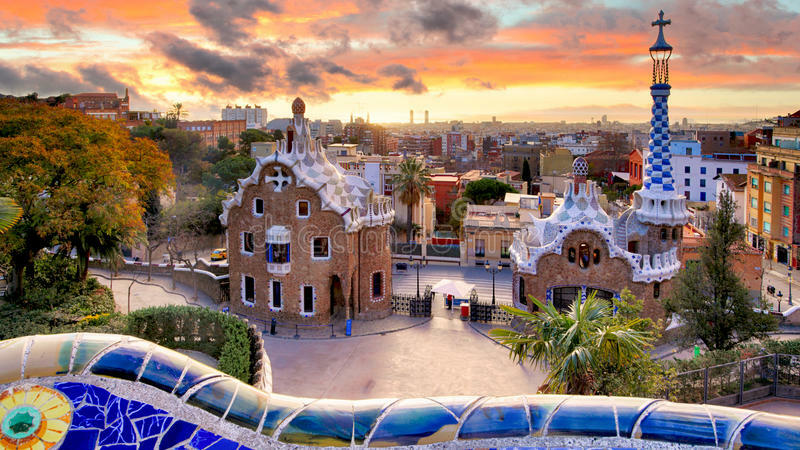 In the early evening at Park Guell climb to the top to catch the glance of a magnificent dream-oriented Mediterranean sunset. From the top, you can see some great views of the city and the sea. The park is situated at a heightened landing place which makes it a magical area to catch the sunset. The best time to get here is in the middle of the afternoon. The places acknowledge having most beautiful sunsets. In fact, in Barcelona at any high point, you will get to see magnificent sunset views. Best Time To Visit: Early summer and autumn are ideal times to visit, particularly May to June and September to October. 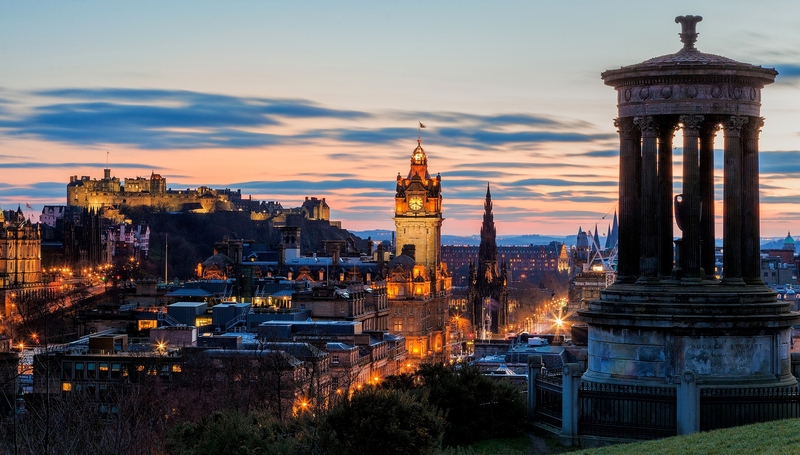 In Scotland, We would say that you should head back to Dugald Stewart Monument on Calton Hill. this is one of the best places to explore with incredible views but it is more alluring as the sun starts setting, and the most special thing to mention is that it changes with the seasons as you can enjoy different shades of sunsets. Best Time To Visit: June through August. Skogafoss a little odd place from the others. 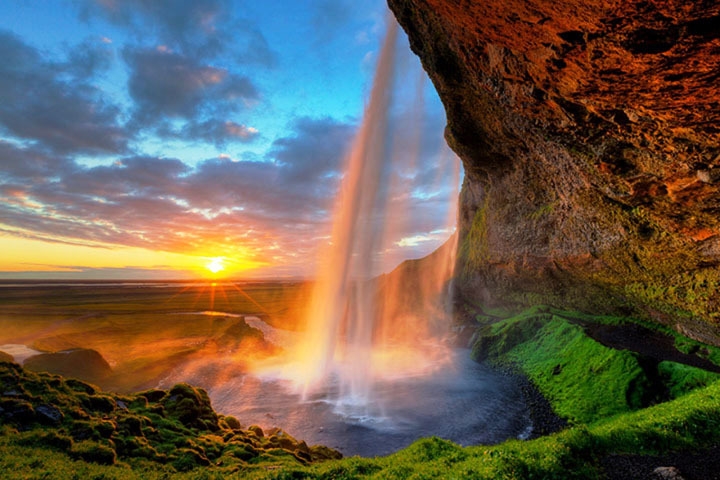 It is known as one of the biggest waterfalls in Iceland. And without a doubt, It is also one of the best places to view the sunset or the sunrise. The blanket of clouds is wrapped around the mountain and changing their color to blood red and hook your eye to the flash of the rainbow which is formed in front of the waterfall. The place is more at its beauty peak when the sun sets and the stars glitter in the sky making an unforgettable sight to remember. This photographic village at the northern tip of Santorini displays the crescent shape of an island from one end to the other. 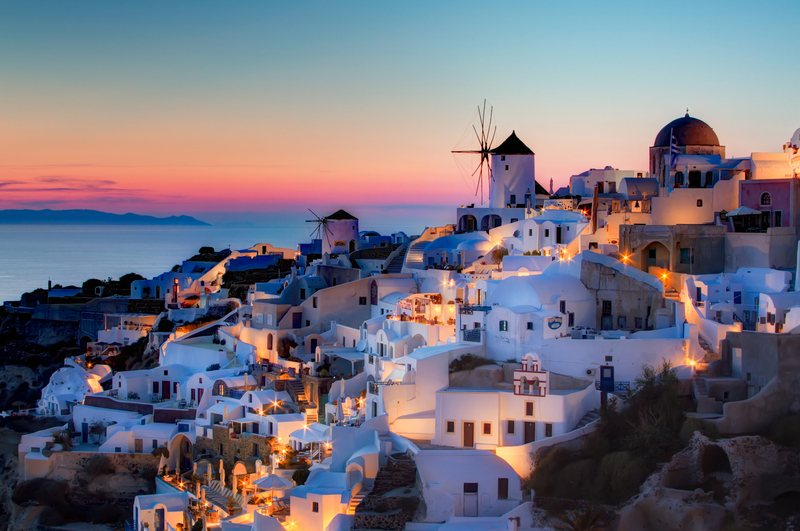 Oia is a popular village in Greece known for its peaceful environment and the very known heart-stopping sunsets. As the sunset lose its brightness, you will see the emerging light from the houses enlightening the city, making Oia sunset; a breathtaking scenery. Best Time To Visit: Late April and early November. A sunset in Venice is not all a thing that is to be missed in the city and not even better to catch it from the river end. 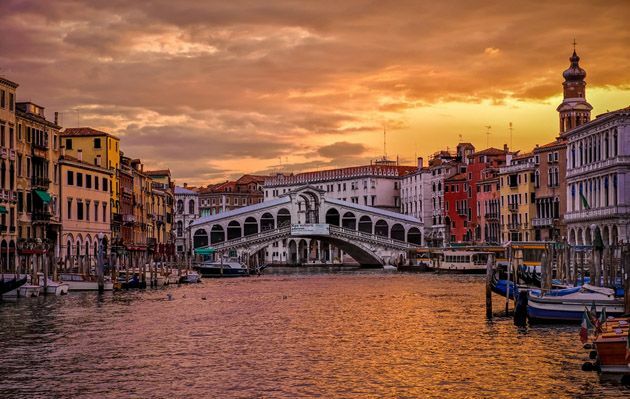 Rialto Bridge is the crowning place to stare at the colorful sky reflecting onto the water. The color with its string of different shades changes its surrounding environment of clouds from bright orange to dark orange and then slips into a grey mode. The lights shining on the canal and the glittering bridge is a sight you will remember a lifetime. Greenwich Park is certainly not the highest viewing point in London. 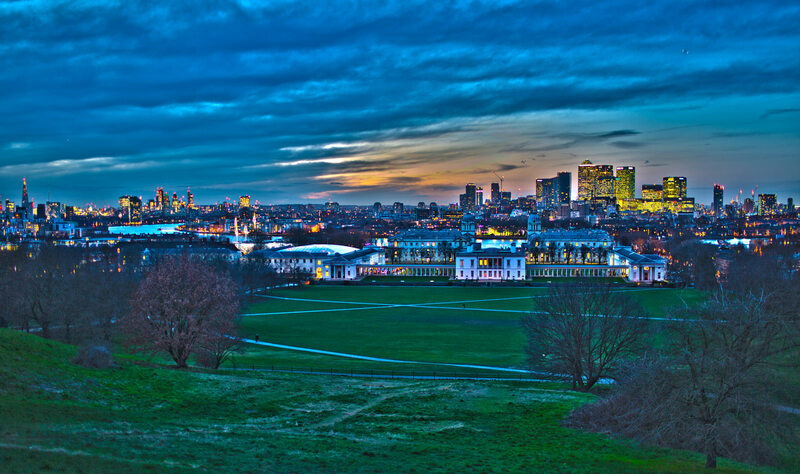 But if you go to the top of Greenwich Park and will undergo the statue of James Wolfe you will have a splendid view of Canary Wharf, the National Maritime Museum, the river Thames. As the sun dips, the sky will press its color changing picturesque mode starting from blue, to purple, to pink making this place a peaceful spot our favorite place in London to go and catch the sublime sunset. Best Time To Visit: High Season is from May to Mid-September, December and London’s peak tourist season is in the late spring and summer months. 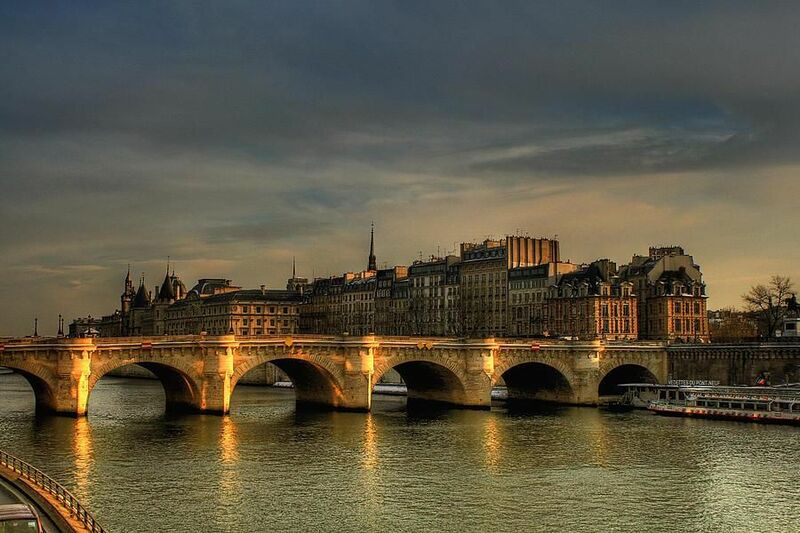 Paris is a city of love where you will experience a beautiful sunset over the Eiffel Tower and the Seine. From the view of the bridge, as the sun sets, water gleams. 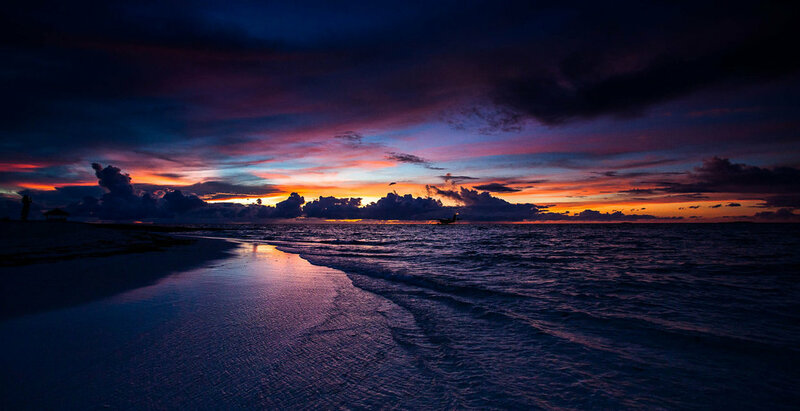 The sky paint colors change from blue to yellow, to tangy shade and finally ending its colorful series on purple. Best Time To Visit: April to June and October to early November. Prague castle is having the best views of the fanciful city making it a unique place to watch the sunset. 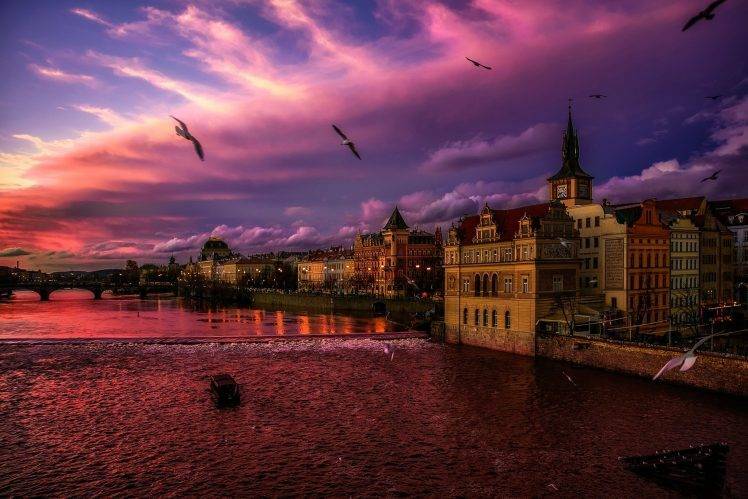 While you are at the top of Prague castle just before the sun sets, you’ll have the fondness to see the super blue sky which further turns to pink and purple as the moon corners the sun to rise. It’s a great place to watch the city under lights in the evening. You will also vision the beautiful panorama of Prague at night. 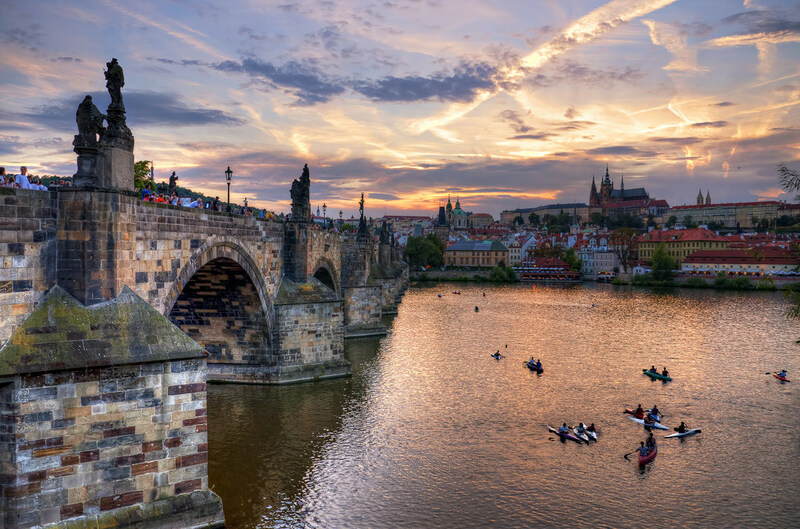 Best Time To Visit: Shoulder season is the ideal time to visit Prague which runs from Mid-March through May; September, October. This small beautiful city in Ireland is parked between the mountain folds and the lava region, having an intense background scene as you will you see the sun falling under the horizon. Best Time To Visit: For hiking, the best seasons are July and August. Whereas, February, March, September, and October are typically best for the Northern Lights. The heavenly kingdom of tropical geometry is shaped up of more than 1,000 islands, 200 of which have been occupied, and 105 of them are resort islands. The Maldives is jam-packed with coral rocks, white sand beaches and just enjoy the pleasure of seeing the spectacular sunsets. Best Time To Visit: November and April and the high season is between December and March. 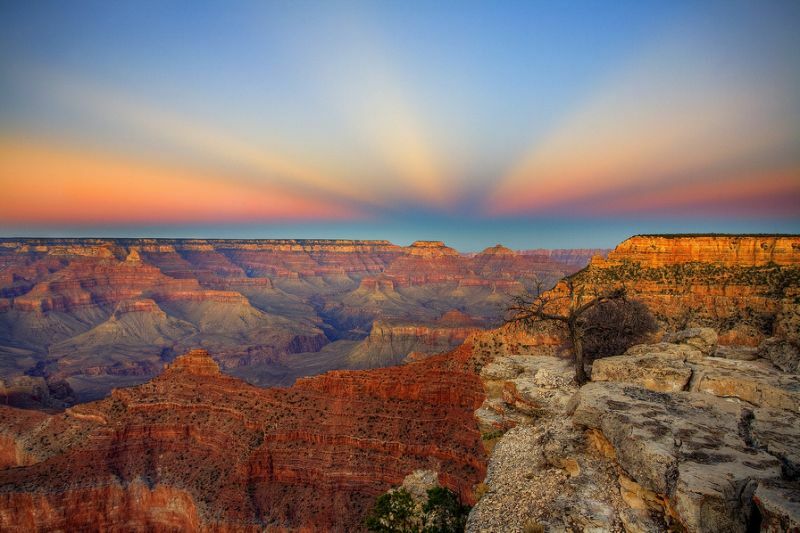 The Grand Canyon is one of America’s most noteworthy natural beauty. 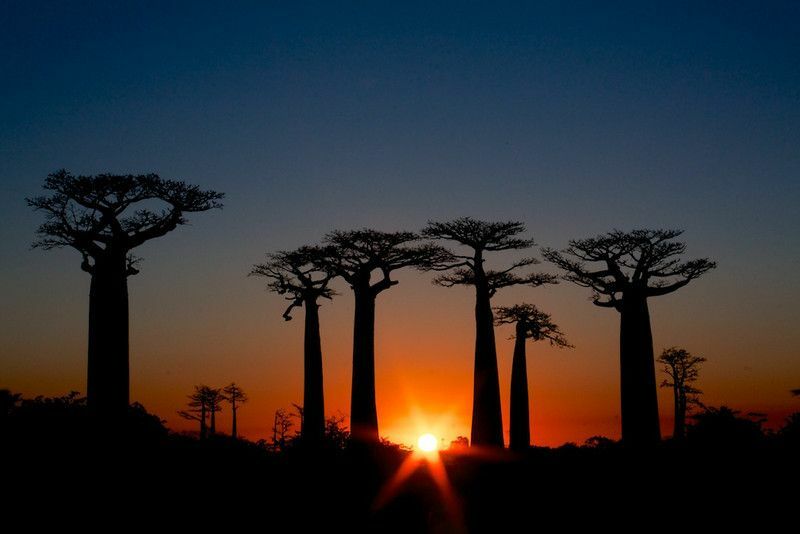 It attracts around five million people each year to see its unusual beauty. People especially come to watch the sunset over the canyon walls. While there are many great places to witness the rising sun. There are places to observe the silent exquisiteness at Yaki Point or Lipan Point and if you are greedy for more then walk the Rim Trail and see the dipping sun out past Pipe Creek Vista. Best Time To Visit: March through May and September through November as these months are less crowded and summer is the peak tourist season. 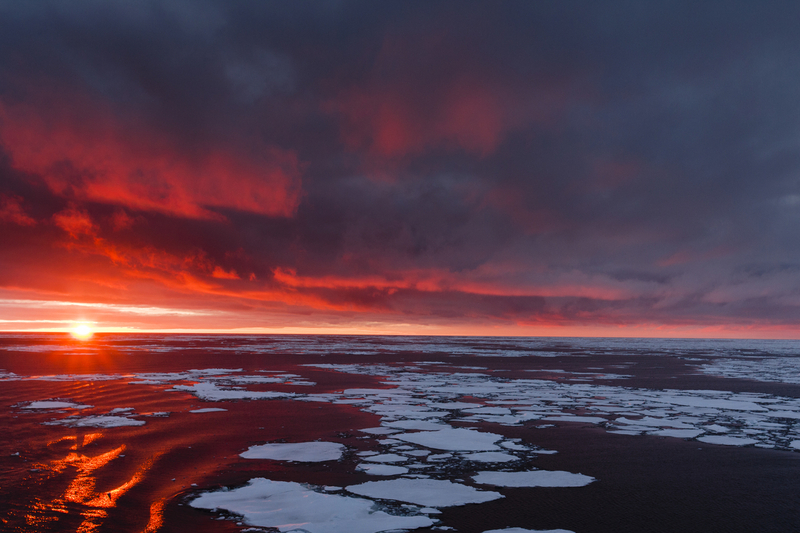 Witnessing the sunset in Antarctica is the most beautiful thing you will see in your life. Landing on to Antarctica is letting yourself enter into another world. It is a universe of white, blue and grey as far your vision stretches. It stands out singular like no other to match its spectacularness. The grandiosity of Antarctica lies in its ice-blanket atmosphere, weather-beaten mountains, undisturbed landscape, heart-splitting sunsets, and awesome icebergs will leave you breathless. You will experience nature at its ultimate best. Every evening in Antarctica brushes the sky with different color bottles and therefore known to have one of the most beautiful sunsets in the world. Best Time To Visit: Mid-February and March. In Kirindy Forest Reserve when the sun finally starts hiding, it is of complete worth. The chromos of reds, pinks, yellows, and orange fill the sky. Best Time To Visit: April through to mid-December. 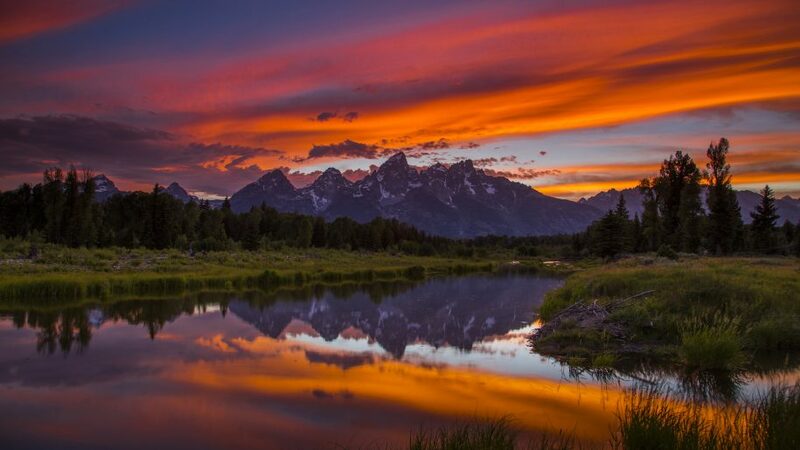 Grand Teton National Park, Wyoming, USA is filled with rugged peaks of the mountains by adding the beauty of the surrounding landscape. The clouds get lit up with intense colors as the sun sets and clouds create their own story of forming unique shapes. And it is just the perfect location to photograph a sunset. The reflection of the sunset in water is so picturesque and most often, the vibrant colors fly out after the sun sets. Best Time To Visit: The best time to visit the USA mainly depends upon which part of the country you are planning to travel. 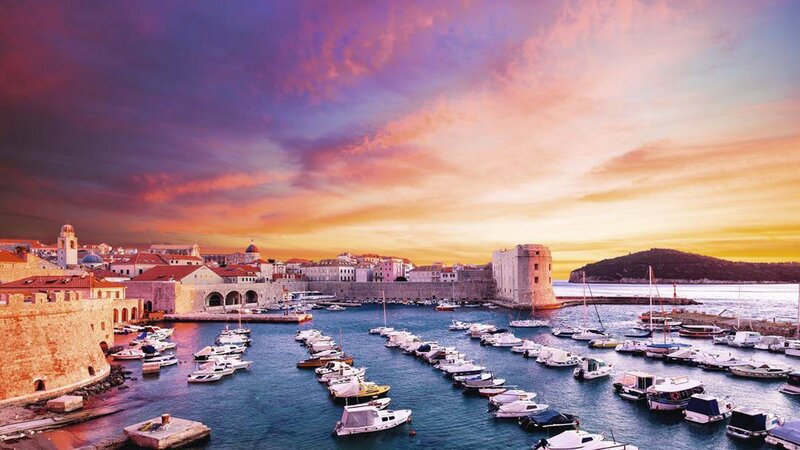 Dubrovnik city is one of the most popular destinations in the Mediterranean. 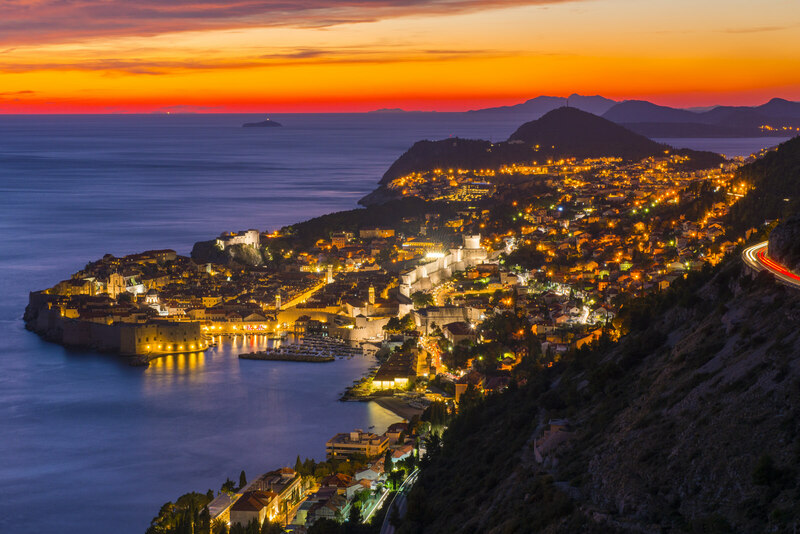 The Adriatic Sea will let you eyewitness the most magnificent views of the falling sun into the horizon. Yellow sand is all you will see as far as you could and the camels in the desert. The ancient world welcomes you with an angelic sunset. 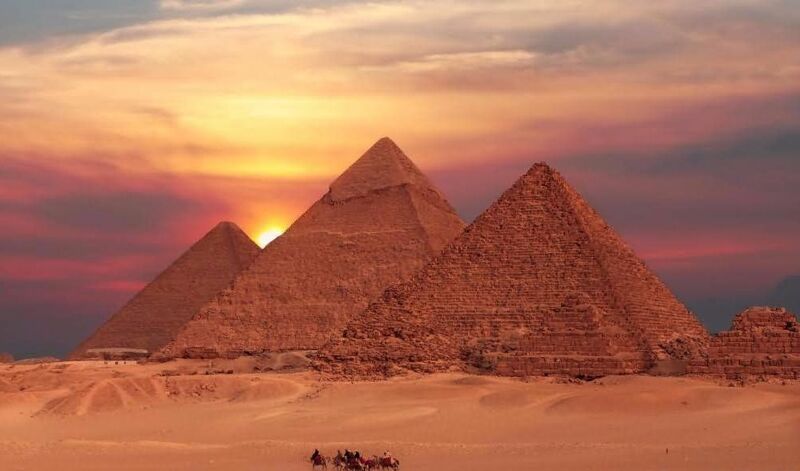 Best Time To Visit: October to April is the most pleasant season to visit Egypt. However, December and January are the peak tourist season. The sunset at this place is just jaw-dropping. 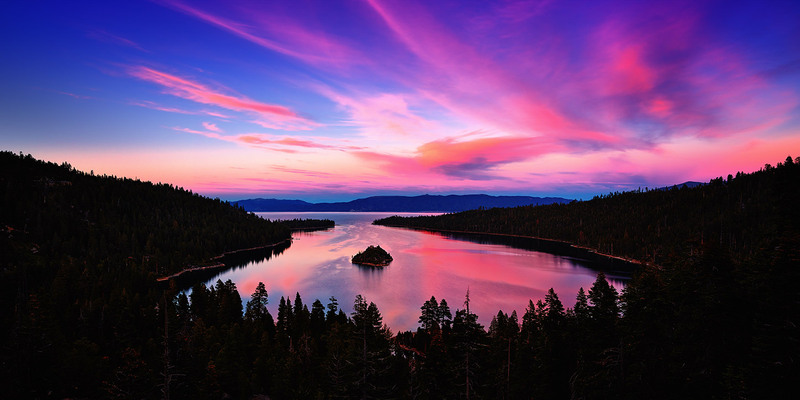 You won’t stop yourself admiring the beauty of the sun setting into the horizon while giving a soothing reflection of it into the Tahoe lake. Best Time To Visit: May to October is the ideal time. Also, August and September are the best (especially southern California). The best time to save money and to avoid crowd is 2 or 3 weeks in late November/early December following Thanksgiving. Switzerland is not just all about Disney World. It has some natural beauty under its wrap. It’s one of the spectacular places to watch the sunset. Matterhorn is one of the highest peaks in the Alps, which is located on the border of Switzerland and Italy and next to the Hotel Monte Rosa, and when the sun is set, it is definitely a sight you can’t miss. Best Time To Visit: Anytime is an ideal one to visit Switzerland and the best time depends on your plans. With only a shallow water bridge located on the banks of Bali, which makes it accessible from the ground, this ancient temple has a dreamlike air, especially with the sun dipping into the horizon in the background. 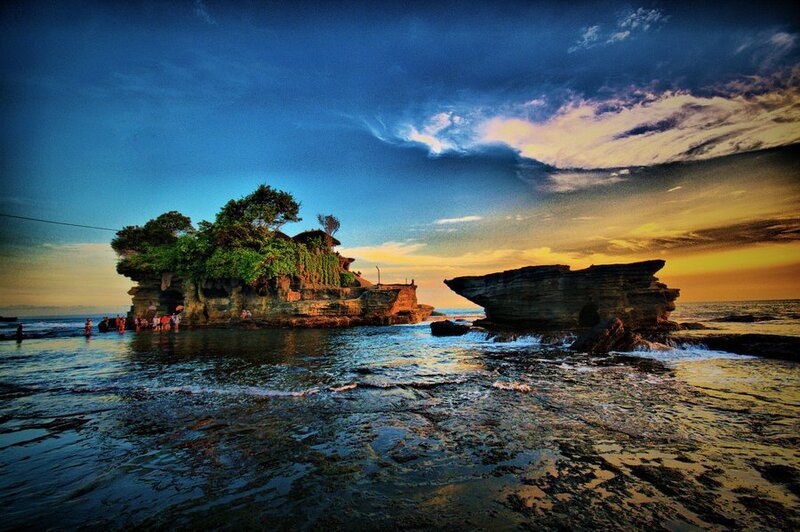 Just enjoy the view of both Ubud Monkey Forest and Tanah Lot. Best Time To Visit: April, May, June, and September. This great volcanic crater on Java island in Indonesia makes an incredible view when suns finally hide behind the horizon at evening. 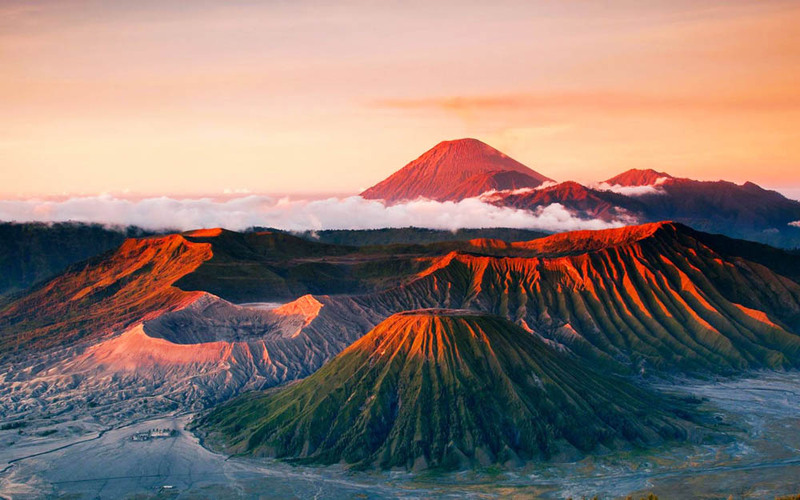 Best Time To Visit: April to October is the best time to visit Mount Bromo especially from May to August are the best months with the chance of least rain. Rozenhoedkaai is certainly one of the most picturesque areas in Bruges and it’s even more astonishing when you watch the sunset over the canal. 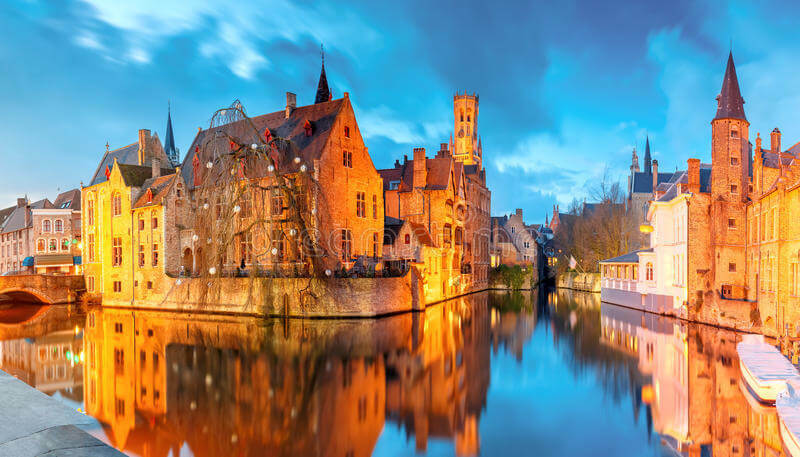 The different colors splitting in the sky, reflecting on the water is probably one of the best sights to see in Bruges. This pretty place also has a terrace from where you can watch the sun going down. It’s one of the few places to have the most beautiful sunsets in the world.